The match officials have been confirmed for the quarter-final stage of Rugby World Cup 2015 this weekend with Wayne Barnes, Nigel Owens, Jérôme Garcès and Craig Joubert all receiving appointments as referees. 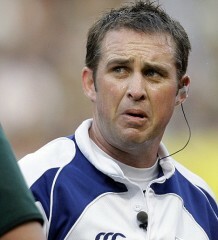 England’s Barnes will take charge of the first match on Saturday between South Africa and Wales at Twickenham (kick-off 16:00) and will be joined by assistant referees George Clancy (Ireland) and JP Doyle (England) with the television match official being Graham Hughes, also of England. Later the same day, New Zealand take on France at the Millennium Stadium (kick-off 20:00) in a repeat of the RWC 2011 final with Owens of Wales refereeing the game at his union’s home ground. On the line will be Jaco Peyper of South Africa and John Lacey of Ireland while the TMO will be South Africa’s Shaun Veldsman. 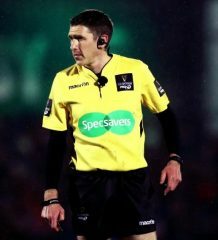 The third quarter-final between Ireland and Argentina in Cardiff (kick-off 13:00) on Sunday will be refereed by Garcès of France with his countryman, Romain Poite, and New Zealand’s Chris Pollock as assistant referees. George Ayoub (Australia) will be the TMO. The final match of the stage will take place at Twickenham on Sunday (kick-off 16:00) between Australia and Scotland and will be refereed by Joubert (South Africa). He will be assisted by Glen Jackson (New Zealand) and Pascal Gauzere (France) with Ben Skeen (New Zealand) the TMO. World Rugby’s Match Official Selection Committee consists of John Jeffrey (Chairman), Lyndon Bray (SANZAR), Andrew Cole (SANZAR), Donal Courtney (EPCR), Clayton Thomas (Six Nations) and World Rugby High Performance Match Official Manager Joël Jutge. As previously advised, the assistant referees from the pool stage now leave the tournament. Appointments for the latter stages of the tournament will be made after the quarter-finals. 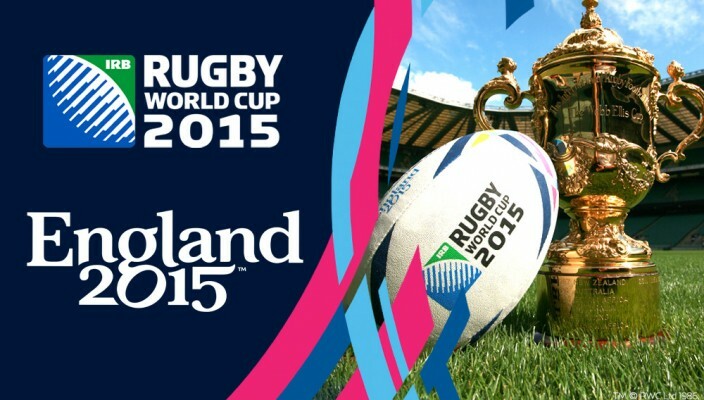 The World Rugby match officials at Rugby World Cup 2015 are sponsored by Emirates.